I'm mostly interested in the types of photos that people post! For me, it's a nice "scrapbook" of various things that people find interesting, intriguing or inspiring. I also just love photography (though, I don't take advantage of my own DSLR enough) and I find myself looking at things differently and at different perspectives because of Instagram and blogging. Sometimes, photos don't come out right or they don't capture what I thought they might but, ultimately, the learning curve (for photography and for my own blog) is a fun one. What do you think? Do you enjoy being on Instagram or seeing the photos people post? Or, are you just sick of how much social media there is? I love instagram! haha I'm always on it too. :) Great collage! My boyfriend does the same thing! And I'm always on my phone mostly for Instagram haha... maybe 10% messages or FB ;) CUTE photos! These are such lovely festive photos, love the L'occitane display. hahaha wanna follow each other on Instagram ? 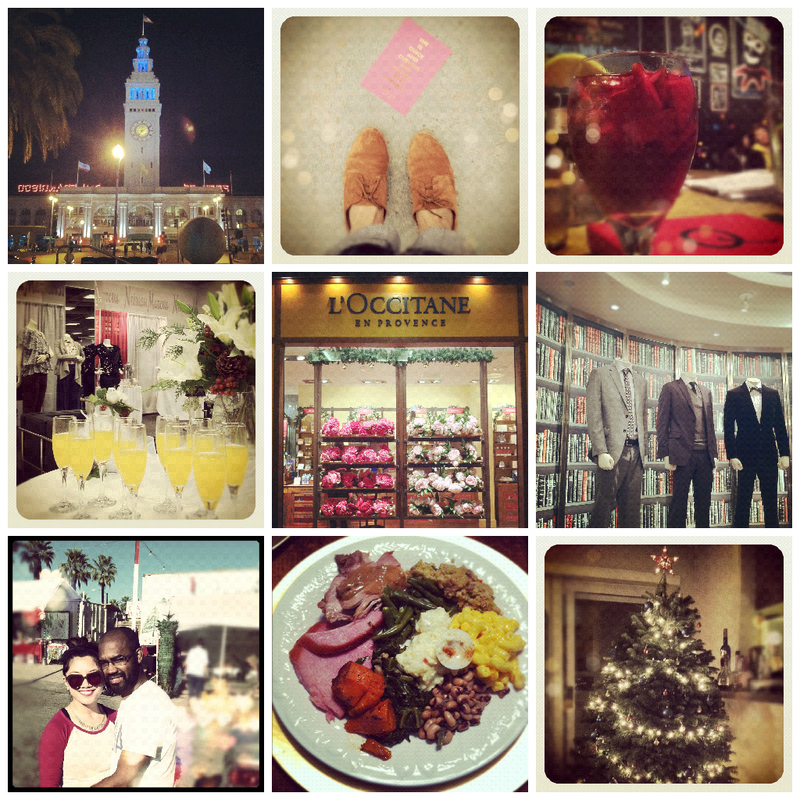 I love instagram...I used to have a polaroid camera growing up, so maybe that's why I'm so addicted! Woot, I'm your newest follower on instagram! :) I'm pretty addicted...I love seeing these fun little snaps. I just got Instagram & I can't wait to get it all figured out. I'm already loving it! love love love your insta photos! xO! Such cute pictures !! Instagram is a scrapbook- love it so much! I'm with ya - I'm ALWAYS on it I feel like! It's addicting. seriously. Love instagram – always on it – but sometimes I do wish my phone would just be out of service so I COULDNT look at it. I love instagram!! Your pictures are gorgeous, especially the Christmas tree! aw, such great instagrams! i adore all of them! Instagram definitely helps you to get to know a person better. It's stuff they don't always show on their blogs or FB page. It's more intimate. omg yes i totally related re instagram !!! your photos are amazing :) i mostly like to see what other people post, there are so many beautiful and creative pics !